The home flooring is the best marketing in worldwide. This is more types available, that is laminate flooring, wood flooring, wall and floor tiles, vinyl flooring, carpet tiles, mats and etc.Even the natural stones such as marbles and granites are also used in the home flooring. They are more expensive than the flooring tiles. The maintenance of the natural stones requires more care, Whereas the flooring tiles arecheaper than the natural stones and the price vary according to the quality of the tiles. It is also easy to maintain the tiles with some simple care. Installing dream home floors is big business and choosing the perfect home flooring for your house can be quite the bewildering experience. For the best in home flooring, solid wood flooring provides incomparable beauty and added value to your home. The purchase and installation cost for real hardwood flooring can be quite discouraging but if looked at as a long-term investment in the value of the home it becomes a much more attractive option for many homeowners. If you opt for home floors made of real wood, be aware that they will require love and care in order for them to keep or improve their beauty. The wood floor is created an equal, selecting a product is not simply a matter of the choosing a quality and preferred color. The range of factor improve the best aesthetics and performances. There are more types available in wood flooring. The oak is king of the wood, it is a good reason for wood flooring. The oak is the best quality of the wood. This wood is leading to reasonable prices as it is also a natural resource. The wooden flooring provides a rich look and a little maintenance. This flooring is one of the home flooring methods. This is a multi-layer synthetic flooring product. It is together a lamination process. This lamination floor is reasonably easy to make and install. However, there are many less expensive options, such as home laminate flooring which simulates the look of more expensive real wood flooring by means of a photographic layer. Understanding the limitations of the flooring purchased is just as important as being aware of the conditions prior to installation. It can come as quite a rude shock to have a beautiful new oak floor installed, and then discover after you roll your piano back into place that the casters have carved a groove right through your lovely new floor. Even high heel shoes can wreck havoc with many types of wood flooring. 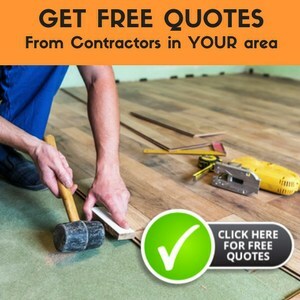 When pricing flooring, be sure to calculate the installation costs. If you plan on having engineered or solid hardwood floors installed, be sure to employ a professional installer that guarantees the quality of their work. Laminate and vinyl flooring, however, are generally simple enough for a do-it-yourselfer to finish over a weekend.With any flooring, do your research. Know your wood. Go to the lumber/hardware store and look at the wood directly. If possible, compare samples and ask questions. Never trust photos or Internet images alone for making decisions about new floors or replacement planks or tiles. By planning and taking the time to prepare for flooring, you’ll end up saving yourself many a headache and ease the pain in your wallet. The hardwood was so true beauty of the every home. It is affected by heat, humidity and easy to installing any of the subfloors. This hardwood is environmentally friendly and it is lower cost. This is natural and renewable material, they are reducing a noise between the room or any places.